MBALE – The National Resistance Movement (NRM) vice chairperson for eastern Uganda, Capt Mike Mukula, has said civil servants in central and local governments are supporters and sympathisers of the Opposition. Speaking during a meeting of NRM chairpersons in the region in Mbale Town on Friday, Capt Mukula said as a result, the civil servants have continued to underperform. “Most of the civil servants in government are anti-government and they support the Opposition yet they are supposed to be nonpartisan,” he said. The former Soroti Municipality MP urged the government to conduct a lifestyle audit of all civil servants, saying most of them have accumulated a lot of wealth through unscrupulous means. “They get little salaries but they have managed to accumulate a lot of wealth through dubious means. They now drive expensive cars, own mansions and take their children to expensive schools at the expense of the real NRM people who fight for this party to stay in power,” he said. He explained that NRM foot soldiers, including the district chairpersons, who do “donkey work”, have not benefited much like civil servants. “The civil servants have gone ahead to deny the NRM leaders, especially those doing business, contracts at the district and instead, they are awarding them to the opposition supporters,” he said. 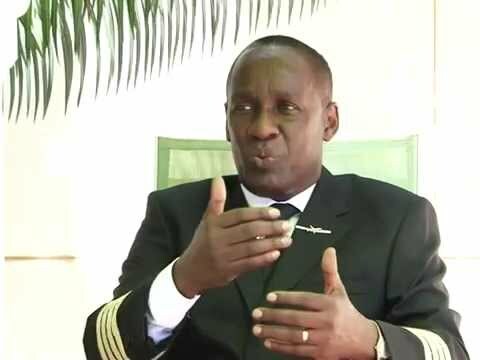 But one of the chief administrative officers, who preferred anonymity in order to speak freely, said Capt Mukula’s comments were baseless. “Let him prove that we are indeed Opposition supporters and we only award contracts to the Opposition. These are lies intended to tarnish our image as civil servants,” he said. Capt Mukula, who also served as State Minister for Health from 2001 to 2006, also downplayed the influence of People Power pressure group led by Kyadondo East MP Robert Kyagulanyi popularly known as Bobi Wine.